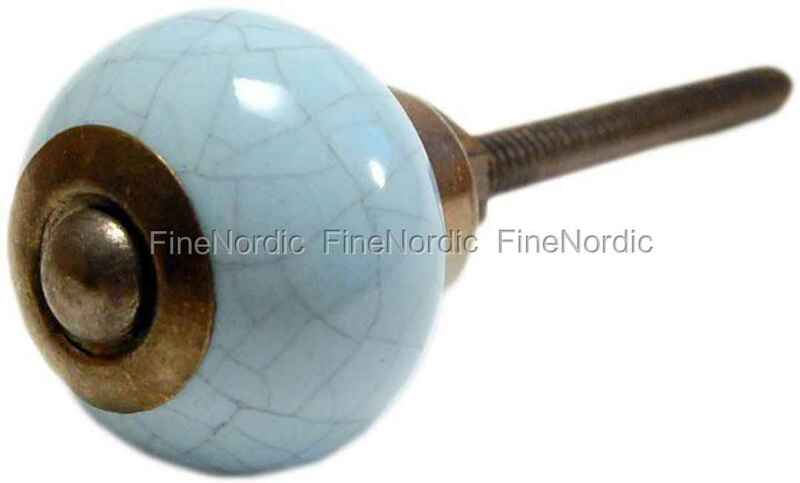 This pale blue porcelain knob by La Finesse stands out with its crackled look. It makes it seem old and mature and will add a nice contrast to a modern cupboard or cabinet. You can also use it for an old piece of furniture to enhance its vintage look. This goodlooking knob has a diameter of 2,6 cm and once it’s been attached to a drawer or door it’ll stick out 2,8 cm from the surface. If you like giving some new life to neglected pieces of furniture then have a look at all the other beautiful knobs we have available in our web shop. You will find them in all different colors, sizes and patterns and we hope that just the perfect one for you is among them.